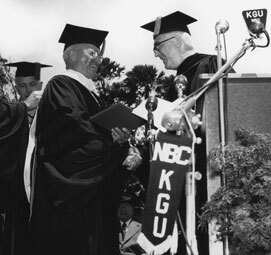 The Honorary Doctor of Humane Letters is awarded by the Board of Regents to individuals distinguished by their national or international reputations or accomplishments in scholarship, public service, profession, industry or other areas. UH Executive Policy on awarding of honorary degrees. 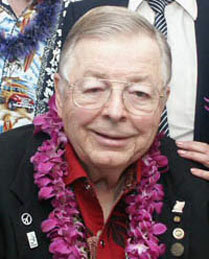 A Kohala, Big Island, resident since 1992, Earl Bakken is recognized for his distinguished international reputation for developments in medical technology—he developed the first wearable, external, battery-powered, transistorized cardiac pacemaker in 1957—as well as his public service activities and attention to Native Hawaiians and underserved communities in Hawaii. Bakken helped develop North Hawaii Community Hospital and is affiliated with Five Mountains-Hawaii, an organization that promotes natural, social and economic assets of the island community.